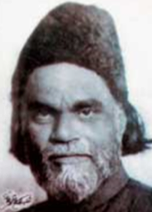 Jigar Moradabadi was the nom de plume used by an award winning Indian poet who is best known for his ghazal poetry written in the Urdu language. This is a specialised form of poetry which consists of a refrain and rhyming couplets, with each line sharing the same meter. He was born Ali Sikandar on the 6th April 1890 in the Moradabad district of Uttar Pradesh. His early years were not easy, having lost his father when he was still very young. He was a bright boy though and learned the Persian and Arabic languages at school, as well as being taught how to construct poetry by a teacher named Rasa Rampuri. His education in general though was sparse and he did not have the chance to go to university. As he grew older he adopted the first name Jigar and used his place of origin as a surname, thus becoming known as Jigar Moradabadi from then on as his fame as a poet developed. He moved to a place called Gonda which is near Lucknow and struck up an influential friendship with a man named Asghar Gondvi. Both supported each other in their poetic endeavours and both went on to be prominent Urdu poets. He loved his new home so much that he remained there for the rest of his life. His classical style of ghazal poetry endeared him to the population at large to the extent that he became known as the People’s Poet. Some have even said that he was more popular than regents and princes in some states of India. in a biographical account written by Malik Ram in 1974, titled The Immortals. It seems that his place in literary history is assured, with the Indian government’s National Council for Promotion of Urdu Language ensuring that his work is read and researched still, more than fifty years after his death. His poetry is even on the curriculum of a number of university Urdu departments. While at his peak Jigar would travel the country and people would turn out in their thousands to greet him. It seemed that the religious and language difficulties at that time were non-existent as far as he was concerned. He was a true man of the people, being appreciated by Hindus and Muslims alike, even when his poetry was written in a different language to their own. Perhaps the fact that he used precise diction and meaningful words helped to get his message across, often in a lyrical or musical way. He was a humble man though and never sought to make a fortune from his writing. He was, however, very well off. In these lines he describes the ultimate irony of a man or woman finding their true love only for it to end in the death of one, or both. Couplets such as these continue to enthral the reader, gaining more admirers as time goes by. Jigar Moradabadi died at his home in Gonda on the 9th September 1960 at the age of 70.